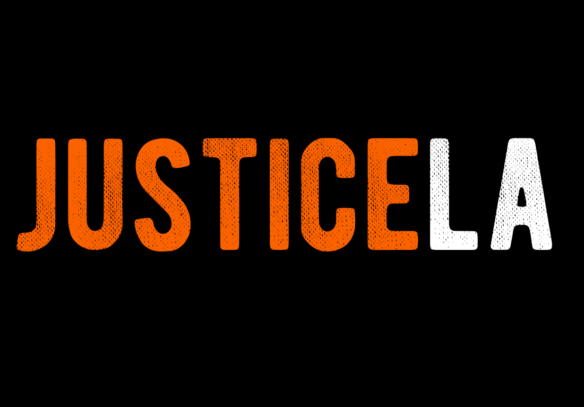 LOS ANGELES, CA – – JusticeLA, a grassroots coalition of organizations fighting the $3.5 billion expansion to L.A. County’s jail system, today released a critical report describing in detail a continued institutional commitment by the County of Los Angeles to attempt to triage a flawed money bail system rather than address the profound structural inequalities of the current pretrial system including the racial and economic disparities in the criminal justice system. 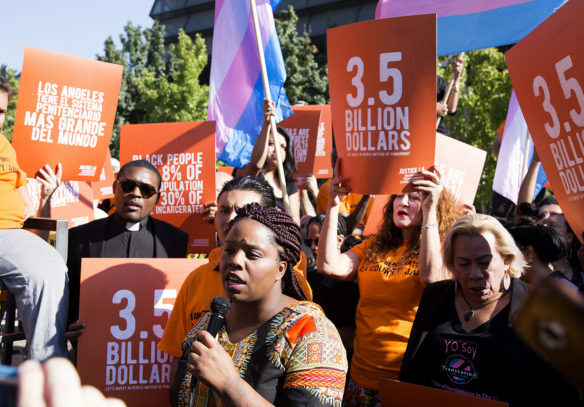 Authored by Ivette Alé, Statewide Coordinator for Californians United for a Responsible Budget (CURB) and Lex Steppling, Lead National Organizer for JustLeadershipUSA , the report is in response to the L.A. County Office of County Counsel’s report commissioned by the Board of Supervisors regarding their 2017 Bail Reform motion authored by Supervisors Sheila Kuehl and Hilda Solis. A recent study by UCLA’s Million Dollar Hoods Project reveals that $19.4 billion of money bail was levied on persons arrested by the LAPD between 2012 and 2016. Of the $198.8 million paid in nonrefundable bail bond deposits to bail bond agents, Latinos paid $92.1 million, African Americans paid $40.7 million, and Whites paid $37.9 million. But most money bail was never paid, leaving 223,366 people in LAPD custody before arraignment during that four year span. The study also found that Black and Latinx women disproportionately paid the nonrefundable bail bond deposits. Pretrial incarceration compromises the public safety of everyone and shifts the financial burden to vulnerable communities, but the answer is not an expansion of community surveillance. We will not accept a bail system or “reform” that continues to devastate lives while furthering home jailing through restrictive pretrial release conditions. Grassroots efforts to overhaul bail systems and reduce the number of people who are incarcerated exist from coast to coast and have facilitated a moment of inevitable change. 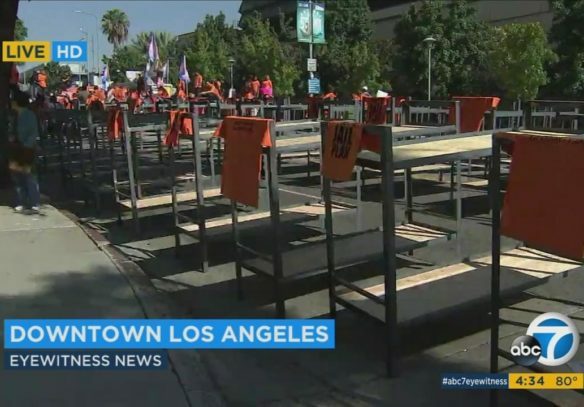 It forces us to ask the L.A. County Board of Supervisors and Los Angeles County Counsel–the Board of Supervisors legal advocates and advisers–what are the real goals of the “bail reforms” on the table? 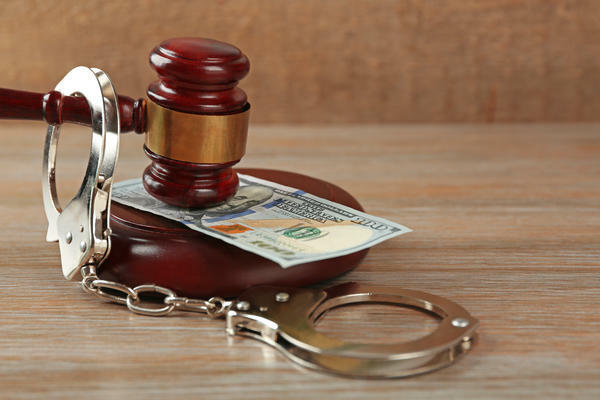 Pseudo reforms like the use of algorithm-based risk assessment tools, electronic monitoring, and onerous systems-driven pretrial release conditions cannot replace a money bail system – because they are, in fact, an extension of it. These “reforms” made under the guise of equity, fairness, and efficiency, would only further entrench a pretrial system intent on the criminalization of low-income communities and communities of color. While SB 10, the California Money Bail Reform Act of 2017, seeks to address the inequities of money bail at the state level, it may fail to include proper protections against the expansion of surveillance and harmful risk assessment tools. L.A. County has the opportunity to lead California in genuinely restorative pretrial practices that focus on needs and community-based support. Constituents and advocates directly impacted by the jail crisis know what meaningful bail reform looks like. The entities that the Board of Supervisor’s County Counsel consulted in this process do not represent directly impacted voices or communities and seem to have one thing in common: an institutional commitment to the expansion and continued development and implementation of risk assessment tools. Included in this is the reality that in some cases there are fiscal commitments to furthering the use of algorithm-based risk assessment tools in the pretrial system. The report can be downloaded at http://justicelanow.org/wp-content/uploads/2017/08/Bail-Reform.pdf. Hey Buddy!, I found this information for you: "L.A. County’s Bail Reform Proposal Lacks Actual Reform". Here is the website link: http://justicelanow.org/l-a-countys-bail-reform-proposal-lacks-actual-reform/. Thank you.